BEST DAY OF THE MONTh. Is it free? | Although in years past, it was run on donations only- this year, we are charging a mere $10 a child for the entire night! (that's four hours of childcare & planned activities for just $10 a kid!) The proceeds will be given directly to our high school mission trip. Our high school students and leaders host this event as a service to our community as well as to raise funds for their summer mission trip. Who is watching my child(ren)? | Most of the staff are high school students, that are overseen by 3-5 adults. There is always a CPR/First Aid certified person on the premise and all adults over 18 have passed a background check. The lead staff in the nursery also is over 18, has passed a background check and is trained to work with infants/toddlers. 4) If a child is hurt/upset/homesick etc. we will do our best to distract/engage/comfort him or her. Calling the guardian back to the church will always be our last resort, so PLEASE be mindful of that, should you receive a call from us during the evening and please return in a timely fashion. 5) NO ELECTRONICS MAY BE BROUGHT TO KIDS NIGHT OUT. CELL PHONES, IPODS, HAND HELD GAMING SYSTEMS, ETC. By signing up to participate in Kids Night Out, I release from liability and waive my right to sue Forest Hills Presbyterian Church, their employees, volunteers and agents from any and all claims, including claims of negligence, resulting in any physical injury, illness (including death) or economic loss I may suffer or which may result from my participation in Kids Night Out. 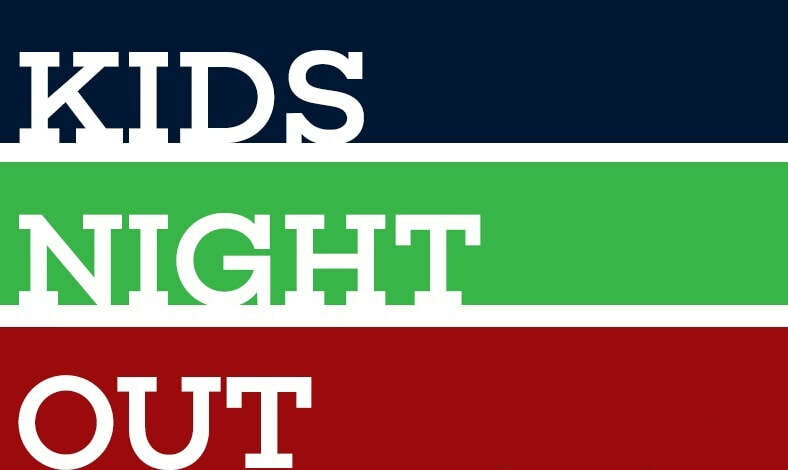 What does a typical kids night out entail?! Children will receive a colored name tag for their age group (A, B,C) . Children under 36mos will be directed to the nursery (staffed by an adult with helpers), Children 3-4 yrs will be directed to the preschool room in the lower level of the church.